Brick Lane has always been coined as the cultural hub on London, much like Shoreditch it’s full of colour. However, if you know what Brick Lane was all about years ago, for us Asians it just feels like another Green Street or Southall. 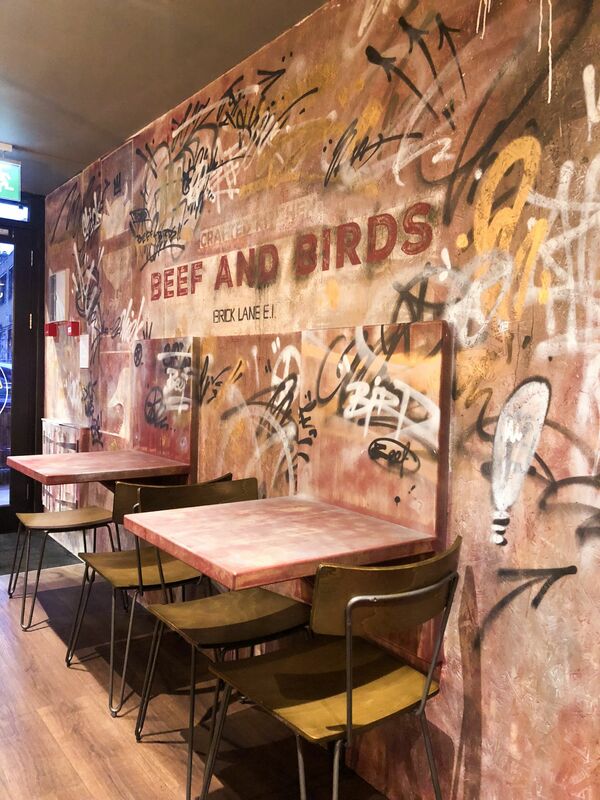 So when I got invited down to Beef and Birds in Brick Lane, I was naturally a bit sceptical initally. But nevertheless, my friend and I popped down this evening for a bite to eat. It’s situated on the main road but is so easy to miss amongst the many curry houses on Brick Lane. It was quite quiet when we got there but it pretty much filled up by the time we left a few hours later. 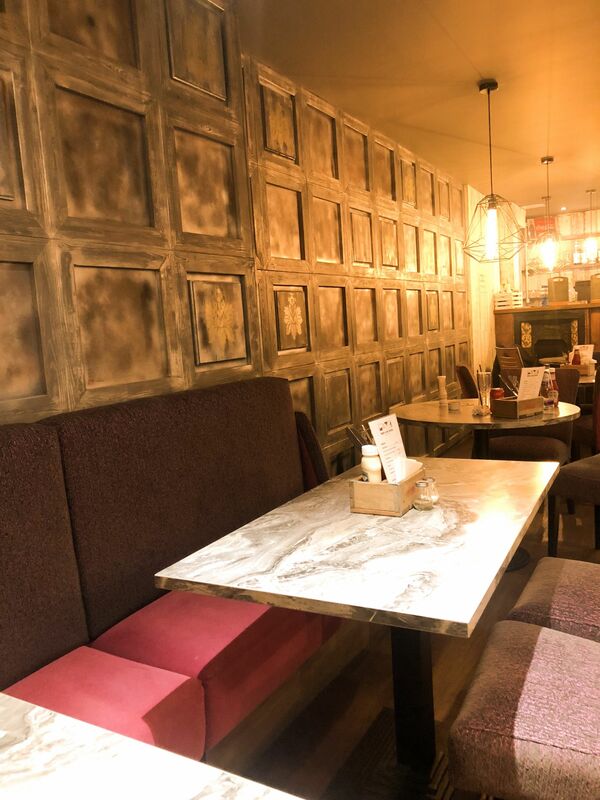 The decor feels like it needed to be somewhere in Soho! The menu was a very simple, yet exciting one! The first thing on the menu in starters… DARK CHOCOLATE BBQ CHICKEN WINGS!!! I needed to have them!!! 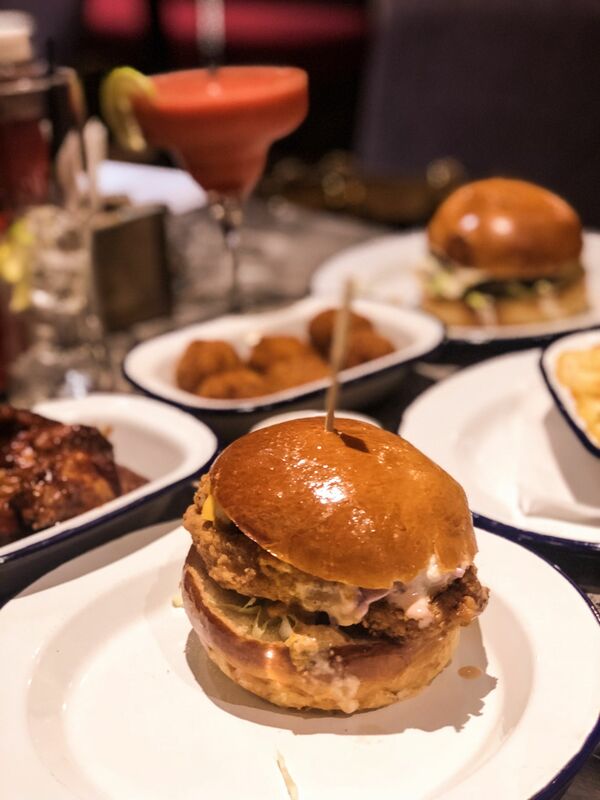 For mains we ordered Clucky The Vampire Stayer (chicken) and Truffle Shuffle (beef) both served in the fluffiest brioche bun. The names were so much fun, and I’m a sucker for anything truffle. The beef burger was one of the best I’ve had and if I’m honest, I was kind of annoyed at myself that I suggested my friend and I shared our burgers! The chicken burger, we mainly got this because I’m currently obsessed with watching Vampire Diaries about 10 years after everyone else did! We were warned by our waiter that this would be a bit spicy but we laughed it off saying we’re Asian we could take it. It wasn’t spicy, it was tongue-burning, intestine-ripping hot! Besides that, I wasn’t really a huge fan as the chicken had a very desi taste to it and really tasted like a curry, which isn’t my preference in a burger at all. 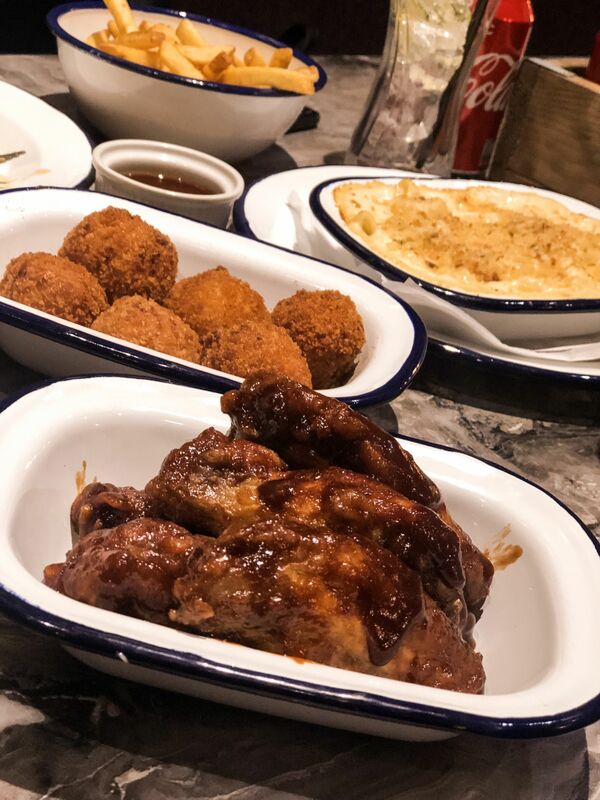 We also got the Mac n cheese and the mac cheese balls.. they were SO good. A bit of a weird one, but they don’t serve any desserts.. nothing! Not even ice cream from a tub, which I thought was a little odd to be honest. A girl needs some dessert! Overall, I absolutely loved Beef and Birds. 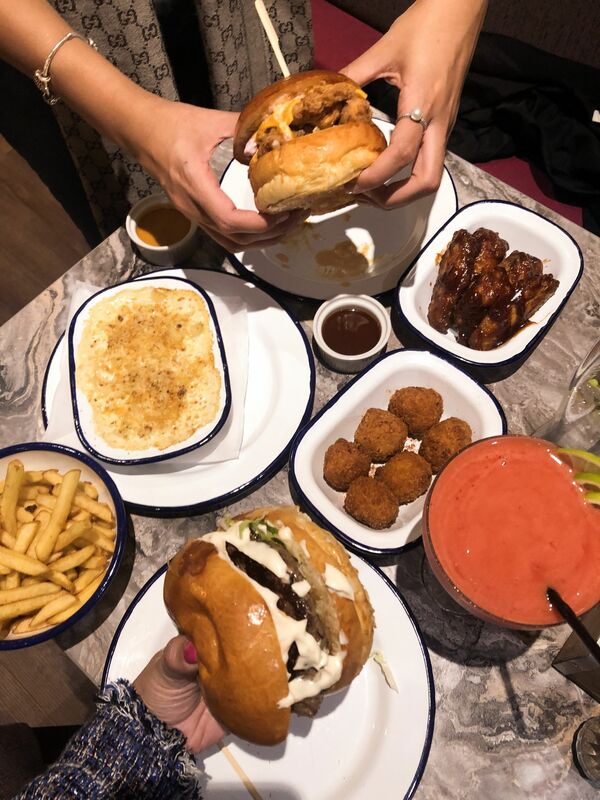 It wasn’t particularly fancy, the burgers were kept simple, yet the menu wasn’t ordinary – it was experimental and out there, but without compromising on the quality and I absolutely loved it! The service was good, personable, attentive and with alot of attention to detail. I really would like to see some desserts on the menu in the near future though.. too much to ask for? Overall, giving Beef and Birds a total TLH score of 8 out of 10.